The Countdown has started! 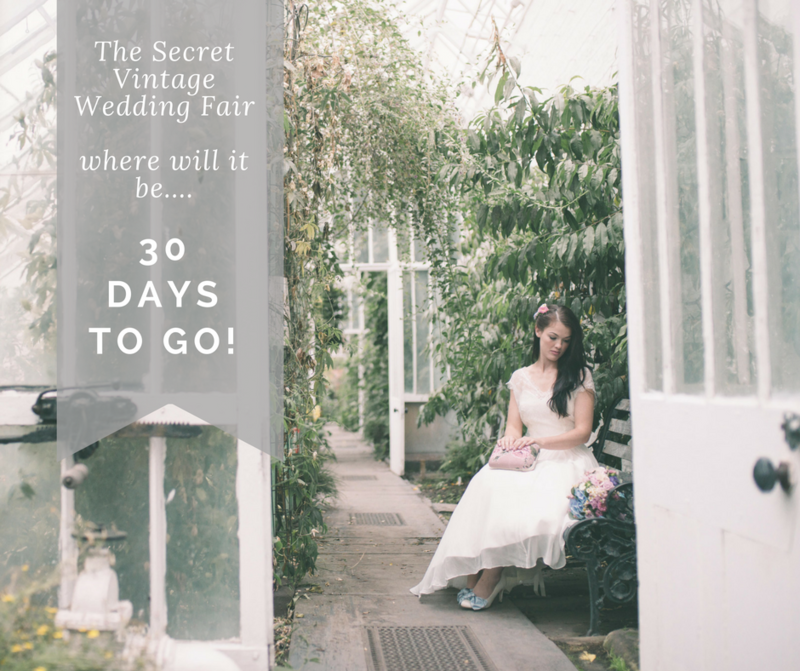 It’s exactly 30 days to go till the Secret Vintage Wedding Fair comes to a beautiful venue in Cheshire. Where will it be, well that would be telling but we will be leaving clues over the next 10 days, so keep your eyes peeled. Whether you love vintage, boho, fine art, bespoke or just the darn right gorgeous, you really shouldn’t miss this event. Tickets are on sale now at just £2.50 in advance (£5.00 on the door ), group tickets that admit up to 6 people are £10.00 in advance (£20.00 on the door) and children under 16 are free.